Hello! 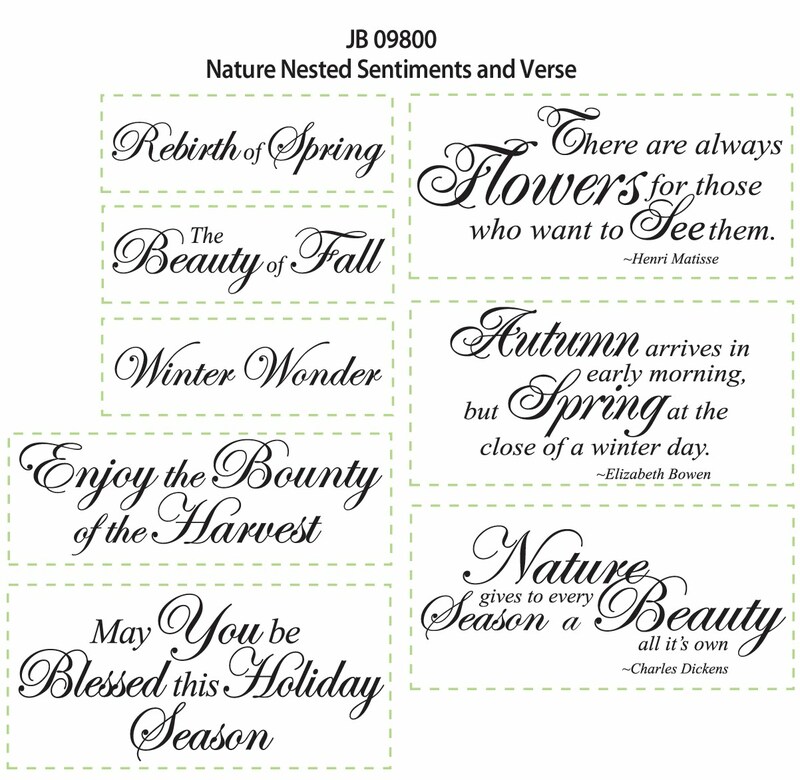 Today we are introducing JB-09800 Nature's Nested Sentiments on the JustRite Inspiration blog. If you'd like to see more samples, please visit the blog for links to all designers who have made projects with this new set. 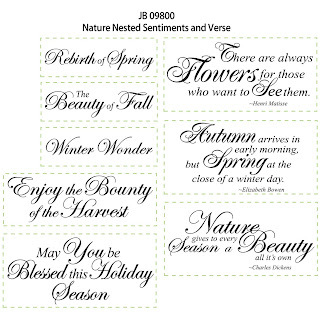 It is a set of 8 lovely sentiments and quotes that coordinate with our Nested Frames. I used the beautiful quote by Henri Matisse, which reads "There are always flowers for those who want to see them". I stamped the quote using Tsukineko Memento Tuxedo Black ink. Next, I paired this quote with one of the large frames from JB-09200 Baroque Nested Frames. 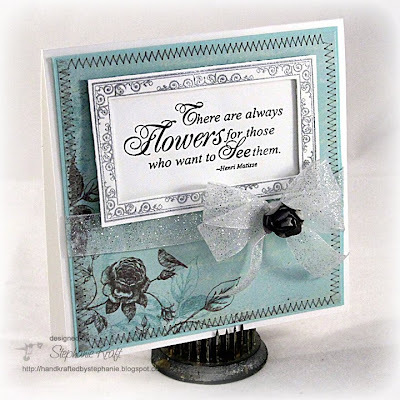 I embossed the frame with silver embossing powder, cut out the frame and popped it over the quote. Silver embossing powder, heat gun, Shimmer ribbon, Prima rose, Tattered Angels Glimmer Mist, Bow Easy, foam tape, sewing machine, grey thread. What an absolutely gorgeous card! I love these stamps and the one you used is my favorite! Aren't these wonderful - I really, really like the font! Your card is lovely, Stephanie! Gorgeous! Love the colors you have used in this card. Elegant. Beautiful card Stephanie! Very elegant & sophisticated looking! Gorgeous card! Love the design. I am all about the sentiments and this set looks so pretty.